Elegant, classic look and the same time modern and comfortable. 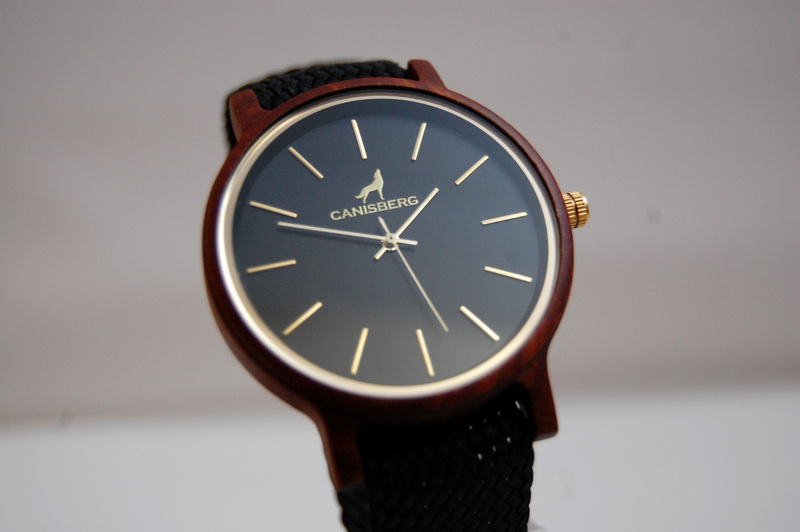 This is our new model “Solo”. 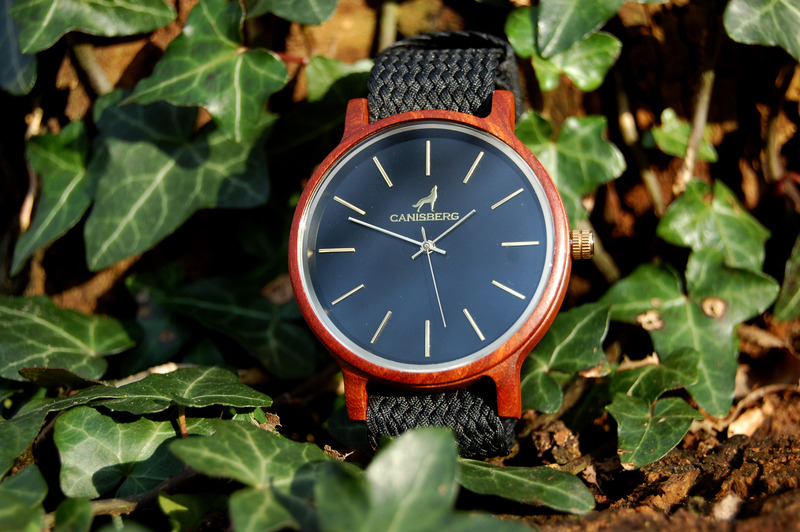 We have remained true to our motto, our watch combines sustainability and adventure. 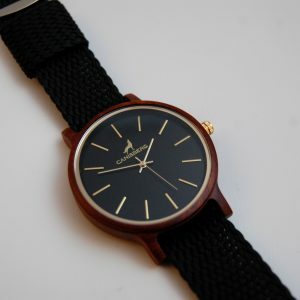 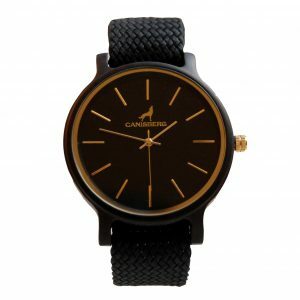 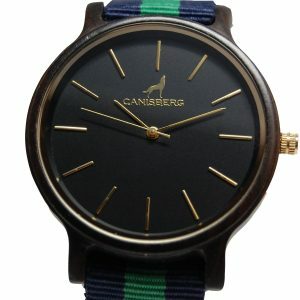 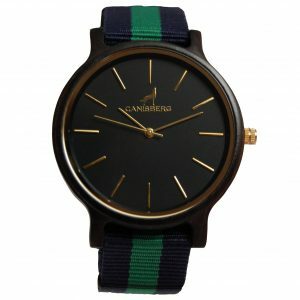 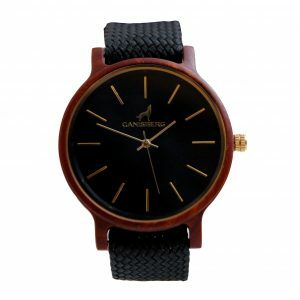 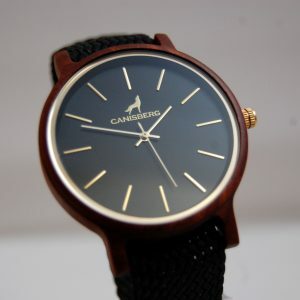 Now, with the minimalistic and golden minute hand, as well as the elegant and comfortable black nylon strap, also in business situations you can be sustainable and adventurous. 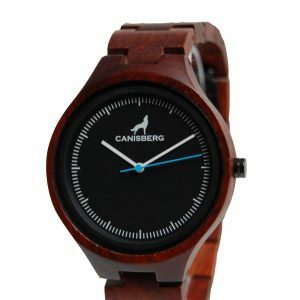 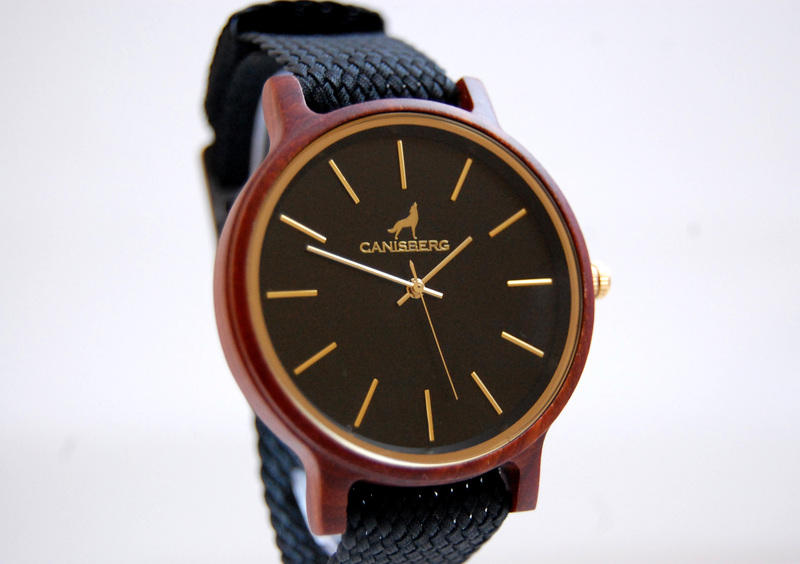 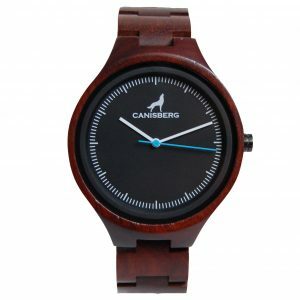 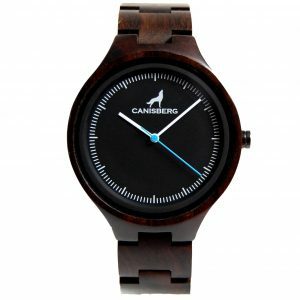 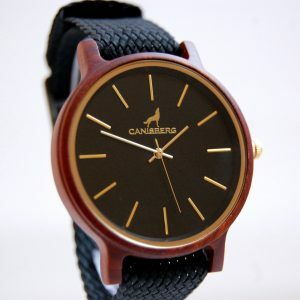 The classic red-brown wooden case frames the stylish and minimalistic dial. 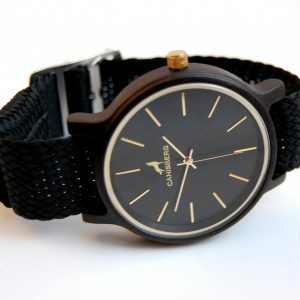 The watch fits you perfectly, because you are both so unique! 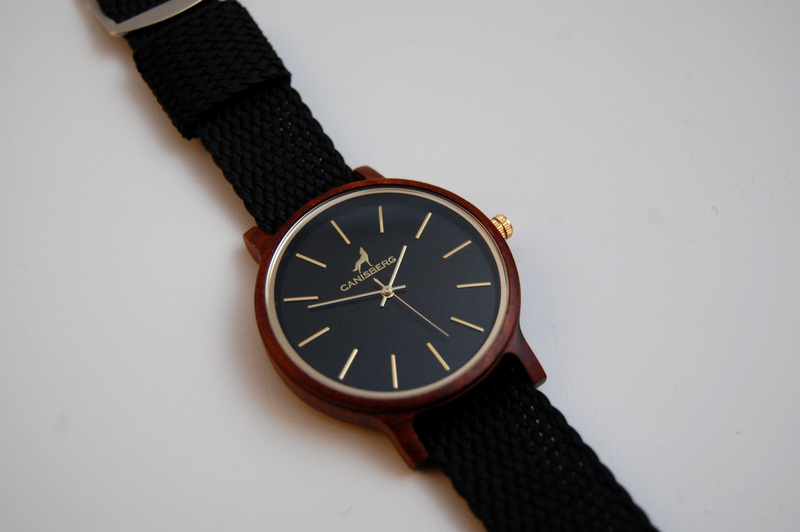 “Solo” is our next all-rounder among unisex watches, perfect for both – your business look and casual wear. 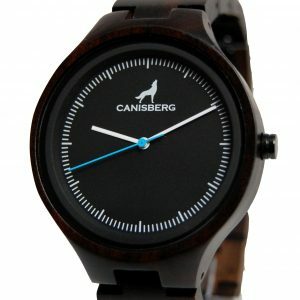 Our masterpiece “Solo” looks stunning with its unique wood grain. 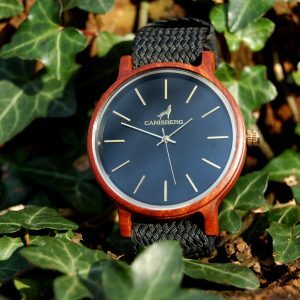 This watch is one of the flattest wooden watches in the world. It impresses with a minimalist design and a high-quality perlon bracelet.